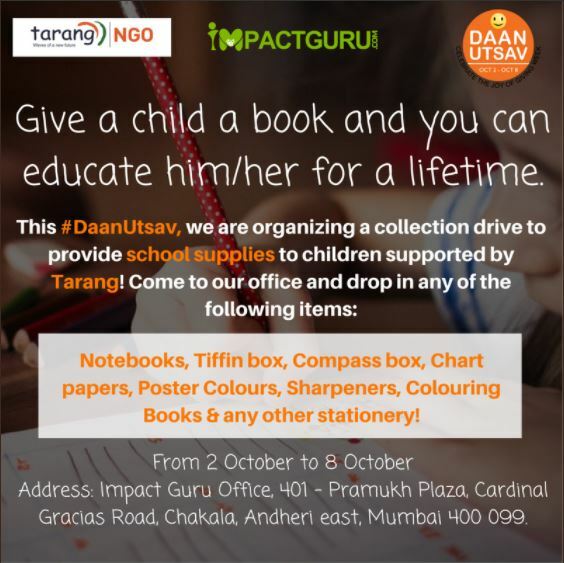 We at ImpactGuru.com have partnered with Tarang to hold a collection drive for any children’s stationery. Just drop by our office in Andheri, Mumbai to join in the celebration of Daan Utsav and leave your donation in the box at the reception! You can email daanutsav@impactguru.com for any queries!